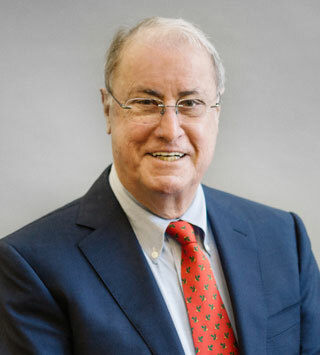 Robert P. Lynn, Jr. commenced his professional career with the major New York City firm then known as Leboeuf, Lamb & Lieby, leaving to become an associate and then a partner with the major Long Island firm of Sprague Dwyer Aspland & Tobin. After leaving Sprague Dwyer, he founded the firm of Lynn & Ledwith, predecessor of the present-day Lynn Gartner Dunne, LLP. Mr. Lynn has also served as a Deputy Town Attorney of the Town of North Hempstead, in Nassau County; as Village Prosecutor for the Village of Bayville, in Suffolk County; as a Trustee of the Nassau County Supreme Court Library; and as a member of the New York State Court Committee to Promote Trust and Confidence in the Legal System. Mr. Lynn attended St. Bonaventure University and Villanova University as an undergraduate, and received his law degree from St. John’s University School of Law. Mr. Lynn has been a trial lawyer his entire career and has tried hundreds of cases to verdict throughout New York State and beyond. He has broad experience at trial of virtually all areas of civil litigation including but not limited to contracts, construction, environmental, real property issues, and Lanham Act cases.